We welcome people at the end of their lives and their loved ones to accompany them for the last moments; The care team consists of qualified nurses, nursing assistants and nurses; And volunteers who want to be part of the care team and are trained by La Maison Mathieu Froment-Savoie. We rely on the expertise of six dedicated physicians to add a personalized end-of-life care and respect for each. The philosophy of the house is to welcome the people in their house; Each individual is unique and presents needs of their own. The human aspect of our care is reflected in our gestures and our words; Humanity permeates our care and accompaniment in the compassion and respect of each individual. The care team is made up of people of heart and gives meaning to our noble mission! A clinician nurse takes care of the patients as soon as they arrive at La Maison and thereafter a physician meets each patient daily. A medical care service ensures continuity of care. Nurses provide day and night care. As soon as a patient arrives, they make a personalized care plan. They keep the medical file and the medication sheet up to date for better follow-up care. A pharmacist is available to fill prescriptions. Weekly interdisciplinary meetings are held with the aim of improving the quality of care and providing solutions to the various problems that may arise. The psycho-socio-spiritual care worker provides psychological and spiritual assistance to end-of-life people, their families and loved ones in collaboration with physicians, staff and volunteers. It accomplishes these end-of-life support functions in order to improve the quality of life. Through its holistic approach to the person, it promotes the care of the psychological, emotional, social and spiritual dimensions of people suffering from the losses associated with terminal illness. Many volunteers and cooks prepare meals and snacks on site to meet patient demands. They can eat in their room or at the dining room. For the visitors, it is possible to order a meal from outside or to bring your own food. A housekeeping attendant is responsible for the hygiene and safety of the premises. Asks his treating physician to make a request. Is diagnosed with cancer and knows his or her condition. The disease is in the palliative phase of its evolution. Is a child or adult who resides in Region 07 (Outaouais). Is informed, as well as her relatives, that all treatments available to cure or modify the course of the disease have been considered and are no longer appropriate. Adheres to the principle of The house where there is no aggressive therapies. Has a life expectancy of less than three months. Requires care to relieve physical symptoms and respond to psychological, social and spiritual needs. Living at home takes precedence over the one who is already in the hospital. Who lives alone, without any family or social support, is treated as a priority. 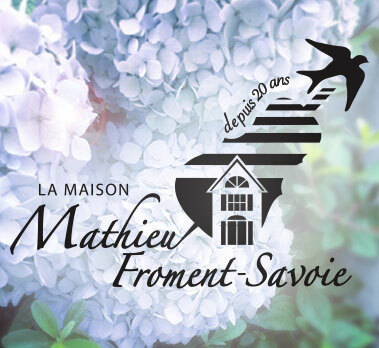 Who requires a readmission after being temporarily returned to his / her home following a stay at La maison Mathieu-Froment-Savoie is also treated as a priority. The bath is given to the patients’ convenience, when possible. Patients can eat whenever they want. Patients bring the objects they love, as long as it’s respecting the place. Patients must provide soap, powder, moisturizer, toothpaste, toothbrush, tissues, sanitary pads, shampoo, comb, brush, razor, humidifier as needed. Patients can bring their clothes according to their habits and at their convenience, taking into account their health condition and the requirements of the care required. All rooms are private and allocated according to availability. The costs of drugs and supplies, incontinence garments, colostomy and ileostomy supplies as well as some dressings are borne by the patients or their relatives. A weekly fee of $ 10 will be charged for supplies used for the care given to the patient.